We’ve known this was coming for a while, but now it’s official – Life is Strange 2 releases its first episode (of a five-episode season) in September. This was revealed via a very-teasery teaser trailer (seriously, it’s just a logo reveal, but check it out if you want). Life is Strange 2 is being developed by series creators Dontnod Entertainment (prequel Life is Strange: Before the Storm was made by a different studio). The game has been in the works since 2016, and was announced simply as “a new Life is Strange game” back in early 2017. Now we know it’s a full, numbered sequel. Very little has been revealed about the plot of Life is Strange 2, although its said to be a fresh story featuring a totally new cast of characters. We’ll get to learn more about the game this August. 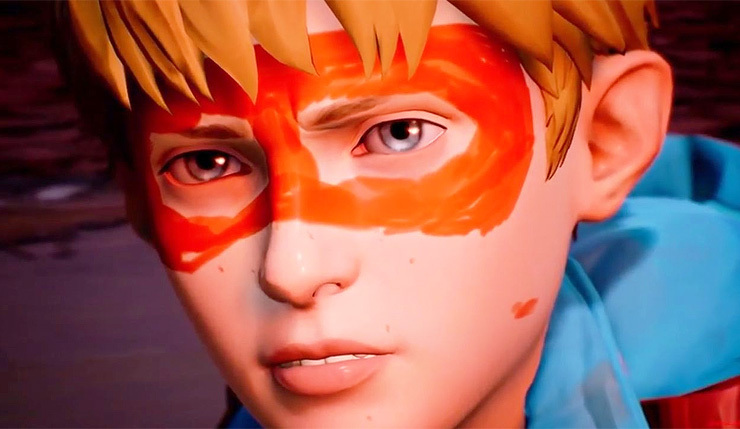 For those who just can’t wait until September, next week marks the release of The Awesome Adventures of Captain Spirit, which is essentially a free demo/preview for Life is Strange 2. The game is about Chris, an imaginative superhero-loving kid who suddenly finds himself in midst of a real-life adventure. You can check out a trailer, below. Chris is an ordinary 10-year old boy who wants to be a superhero. He loves his toys and has a big imagination that takes him on all sorts of adventures, but today is not one of his usual adventures, today something truly extraordinary will happen to him. Dontnod Entertainment are back with an all-new original and endearing story that will let you experience a slice of young Chris’ life, as he turns an ordinary Saturday into an epic superhero adventure. The Awesome Adventures Of Captain Spirit will feature links to the brand-new story of Life Is Strange 2. The Awesome Adventures of Captain Spirit takes flight PC, Xbox One, and PS4 on June 26. Life is Strange 2: Episode 1 arrives on September 27.